round, and much, much more. “I really love the natural light, coloring and furniture. 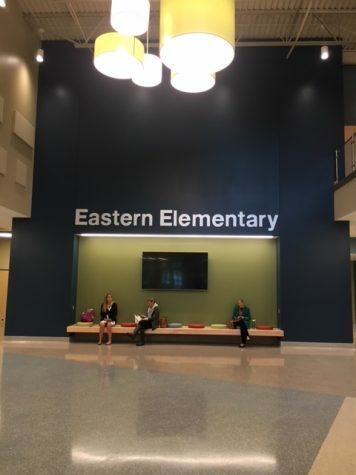 It seems like an inspiring environment and the colors remind me of the sand, water and trees that surround Eastern,” Kathy Radakovich, first grade teacher at Eastern says. There are many benefits to the recent reconstruction. For one, the increase in size allows far more students to attend. In fact, this year so many students are attending that they needed to three teachers per grade level, as opposed to last year’s two. Secondly, in the remodel, they paid close attention to minor details that will benefit the students. There are classroom desks that will raise so you can stand and work, chairs that students can peddle and walk if they want to move around, and they even painted the rooms colors that help people focus and relax. 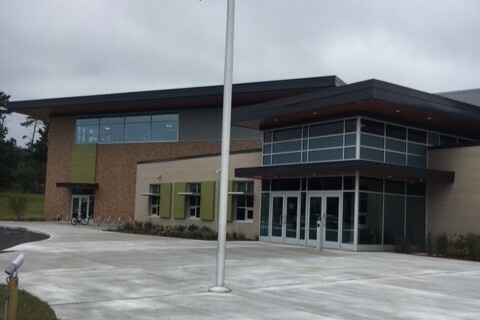 Although there are many perks to the new school, some are very disappointed to see the “old” Eastern is gone. Even though the school has changed massively, Eastern still has their amazing staff and students.